Because I am a native Tarheel, North Carolina is close to my heart. Lots of great things have come from my state, including (in no particular order): Pepsi Cola, Vince McMahon, John Coltrane, The Andy Griffith Show, Soupy Sales, Roberta Flack, Vick’s VapoRub, Mt. Olive Pickles, Ava Gardner, and Sugar Ray Leonard. 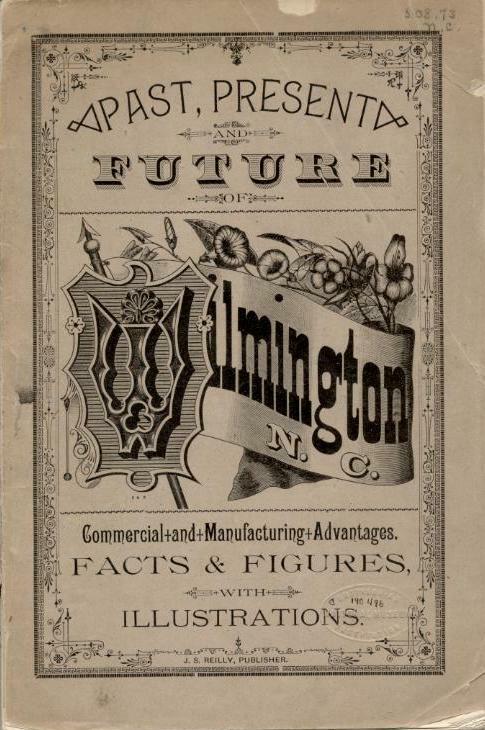 While interning this summer in the National Museum of American History’s library, I was delighted to find books on the Old North State and even one on my hometown, which I share with news anchors David Brinkley and Charles Kuralt: Wilmington. Although the books were over 100 years old, the engravings inside pictured familiar places! 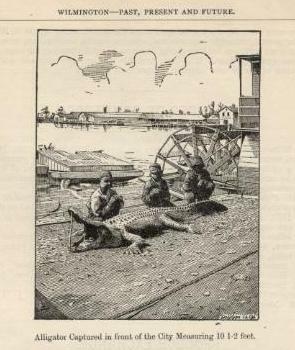 For example, alligator is still served at several restaurants on the Cape Fear River waterfront pictured here, although it is less often actually caught in the river (FYI: it does indeed taste like chicken, but the texture is firmer). 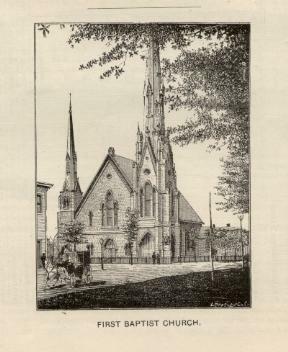 I also recognized the First Baptist Church, which still stands at 411 Market Street, although its steeple was knocked off by Hurricane Fran in September of 1996 and subsequently repaired. Our home was without power for almost a week due to Fran! 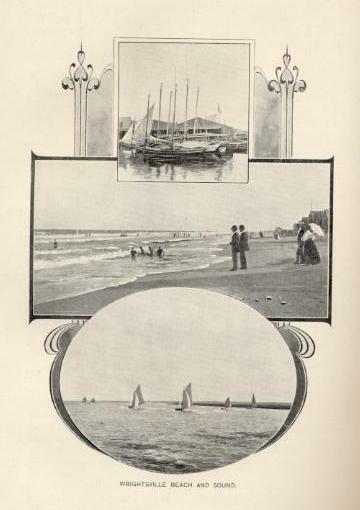 And I have many fond memories of visiting Wrightsville Beach with my family and friends, although bathing suits have changed remarkably over the last century. Visiting all of the US states and territories is a huge undertaking that most Americans don’t get the chance to do. For example, from Washington, DC to Disney World (Florida) takes at least twelve continuous hours of driving, and from Washington to Disneyland (California) takes at least thirty-eight hours of driving. 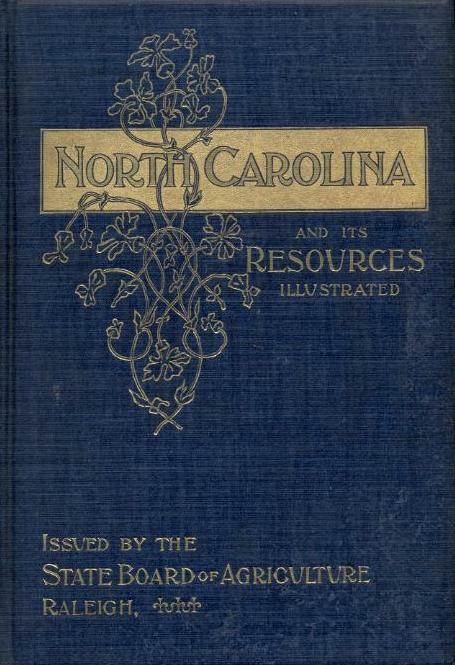 North Carolina itself “is almost exactly the size of England” at around 50,000 square miles (Reilly, 1884, p.10). So if you can’t find the time for such a lengthy drive, take a tour through the history of your favorite state, territory, or city in books – like those I found in the National Museum of American History’s library! 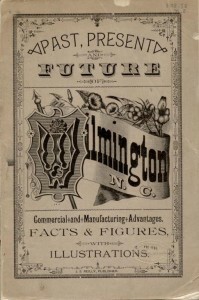 Your public library also has a great selection of local histories, and you can search Worldcat (a collection of many library catalogs) to find books on other familiar places you’ve visited – or just dream of visiting. Next Post David Livingstone and the Other Slave Trade, Part I.